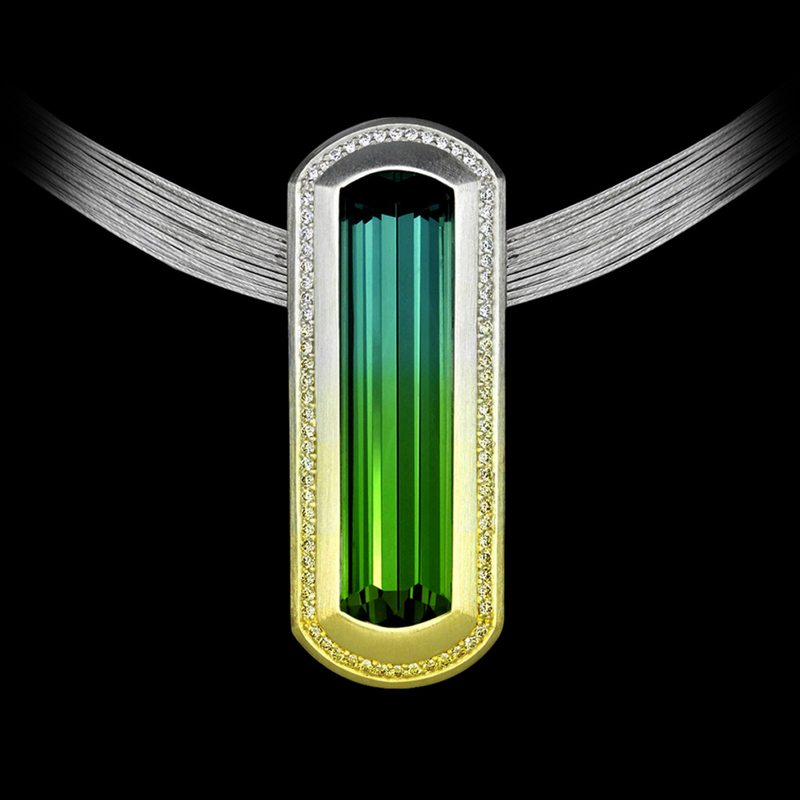 During their 2018 MJSA Vision Awards jewelry competition, the Manufacturers and Jewelry Suppliers of America (MJSA) recognized Adam Neeley with the honor of First Place Winner – Professional Design Excellence for his pendant entitled “Ombre”. The concept behind his design was using a sleek, modern form to put gradient colors on display, both in stone and in precious metal. This gem’s vivid colors and impeccable cut proved the perfect complement to SpectraGold™, Adam’s signature color gradient material. “This was the most minimal of the designs. I wanted to get the eye to focus in on the subtle color gradients,” Though simple enough to say, the fabrication of this pendant, which maintains perfect ombré effect without evidence of a seam required the delicate and labor-intensive creation of SpectraGold™, followed by flawless technical execution. Michael Coan, chair emeritus of the jewelry-design department at the Fashion Institute of Technology (FIT). We send our gratitude to MJSA and to this year’s judges for this honor! 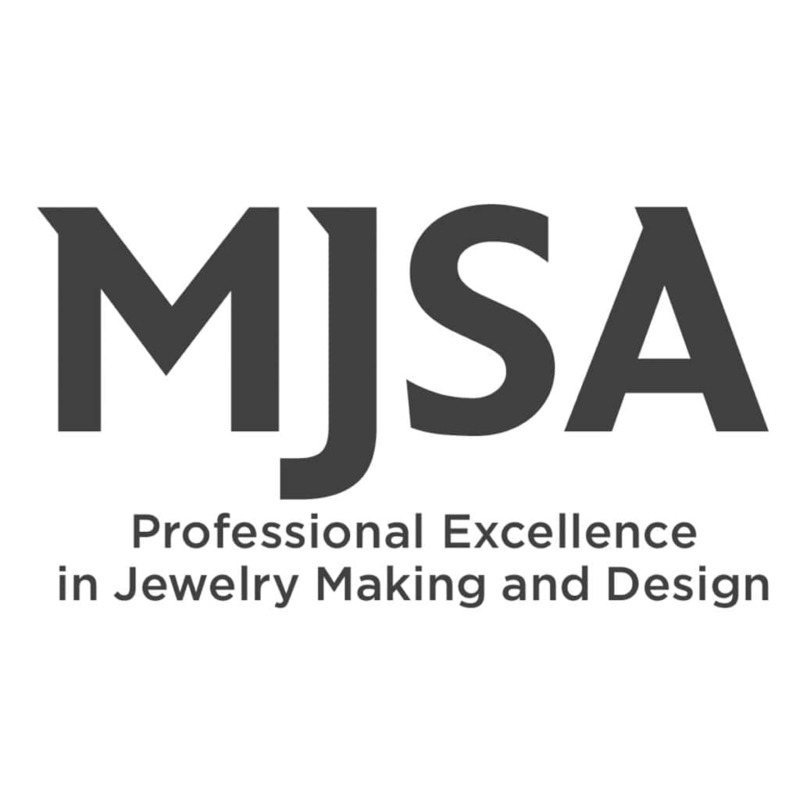 For more on the 2018 Vision Awards, visit MJSA’s website for their announcement of the winners, including Ombré pendant.